Prog Archives review: “The biggest shock is not that Richard has a voice that suits his style of music very well indeed (or vice versa), but that he has kept it hidden for so long? Even going back as far as 1992’s ‘Rattlebones’, I don’t think that Richard has provided vocals on any album, so it must be down to him having such a strong mental image of what the music needed to sound like and his voice had no part to play at all in that. But, on ‘Mephisto Portrait’ for example, his vocals are perfect with the Karda-Estra style of music. True, there is less orchestration than one would normally expect, and in many ways the songs have much simpler arrangements, but the use woodwind fits perfectly. 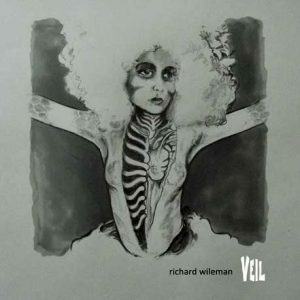 Naast Richard Wileman met Veil hebben we deze week: Karda Estra (Constellations), Steve Hackett (Beyond the Shrouded Horizon), Anthony Phillips (Wise After The Event), Talisma (Quelque Part), Dead Can Dance (Into The Labyrinth) & Brighteye Brison (Believers & Deceivers).